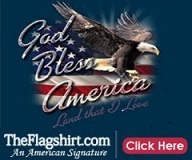 Patriotic Pictures and Patriotic Flag Shirts: Showing Great Respect for Disabled Veterans! Showing Great Respect for Disabled Veterans! Shane F. D'Onofrio is truly a special veteran. His organization www.whatwouldyougive.org is a group of Disabled Veterans, Veterans, Active Duty Military and Citizens of the United States of America helping our Disabled Veterans. They provide grass-root support for all of our Veterans, by assisting them to achieve their after-military life goals, as well as providing safe havens for veterans while building camaraderie among the local community, our Veterans and their families. Shane should be an inspiration to all American. Thanks for what you do. Take a look at the video below about What would you give.org. To Our Patriotic Veterans... Thank You.